Because we can, and because it was in many ways an epic roadtrip, we bring you some excellent video clips from the World Cup Qualifier in Columbus and the 2-0 U.S. victory. Note: these aren’t our clips; we’re just linking to them for the benefit of all. …starring Dougray Scott and Saffron Burrows, written and directed by Glenn Standring. 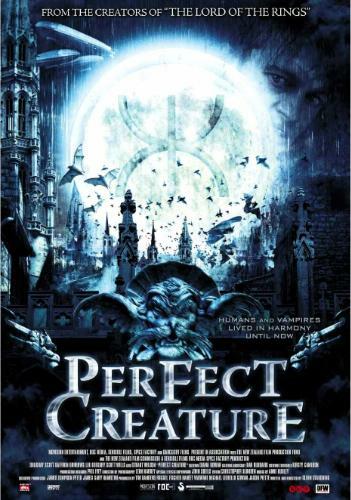 Although Perfect Creature purports to be a vampire movie, it’s not really a vampire movie; it’s an well-conceived alternate history/mystery/thriller with a few vamprie elements thrown in (no doubt for the marketing sclhubs). It’s a pretty cool premise. Writer/director Standring establishes this alternate world quickly, with grace and style. He imbues the setting with strong steampunk sensibilities and adds in the vampire element without getting stuck in the mire of vamp cliches. In this world, the Brotherhood are human-kind’s benevolvent watchers, and the established religion includes literal blood sacrifices by the faithful. There are airships and steamcars, and it looks fairly Edwardian London. Here we find Brother Silus (Scott) on the trail of another Brother engaging in the usual Hollywood Vampire behavior.